The new partnership will combine the world-renowned technologies and expertise of the two companies’ and will uniquely be able to share the internal engineering resources that have allowed each to design and develop a long series of ground-breaking products that have consistently set the benchmark for the best possible TV picture quality and the best outright audio quality. The partnership has also been enhanced by both companies long-lasting tradition for developing all of their own bespoke technologies in-house, with total quality control over all stages of product development and production. Philips TV has worked tirelessly to ensure that its TV sets consistently lead the market in terms of picture quality - including its award-winning P5 processing chip - European design and via its Ambilight technology. Bowers & Wilkins has a proven long term commitment to in-house research and development, in order to achieve the truly best sound quality possible, whatever the format. "For far too long, as an industry, we have allowed sound quality to be the poor relation when considering TV performance. A challenge that has been further exaggerated by the outstanding quality of our OLED sets. So, I’m delighted that we have been able to partner with the World’s best audio company Bowers & Wilkins to ensure that in future our Philips High End TV sound will offer a uniquely premium experience." "Our new partnership with TP Vision presents a fantastic opportunity to help redefine the parameters of sound quality & performance on a TV. 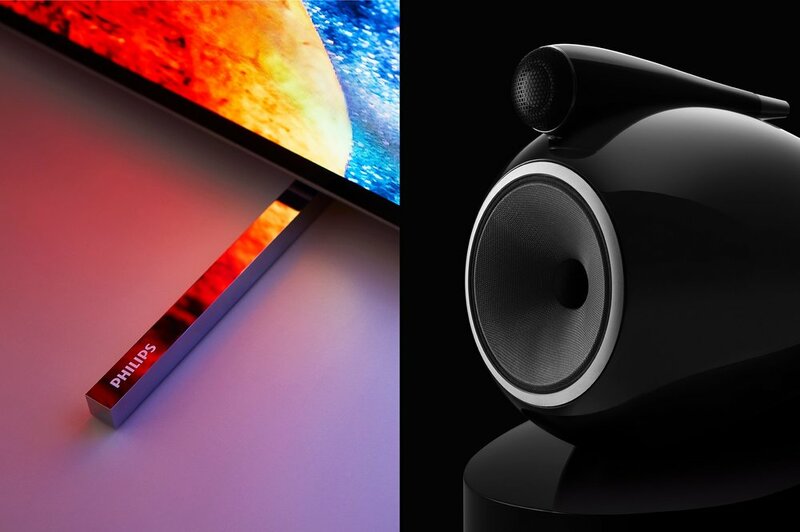 The superb new Philips TVs will introduce our well-known audio performance to a new consumer audience who will be able to enjoy first-hand, the incredible experience only we can provide, ‘Sound by Bowers and Wilkins." The partnership has been made more effective and efficient by the location of key engineering facilities for both companies in Europe. Philips TV maintains an Innovation Centre in Ghent Belgium while Bowers and Wilkins recently made a significant investment to expand and relocate its UK based research and development centre. The first glimpse of the potential of the new partnership will be unveiled at the IFA Show in Berlin later this year.